The Atmos Hermès clock, A Masterpiece Created By 3 Luxury Marques – Hermès, Jaeger-LeCoultre and Les Cristalleries de St. Louis. The attic in my dream. I had the most vivid dream on one wintry evening in early January. I didn’t know where I was from and when it begun. 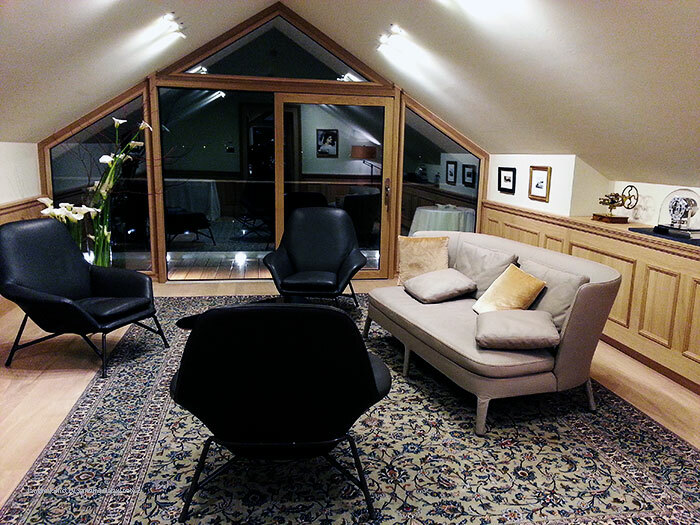 I remembered I was seemingly flying freely in a little town at Valee de Joux, and floated effortlessly into a room which looked like a house attic. Initially, the attic was quiet, cold, dark and yet surprisingly comforting. An unknown majestic presence was immediately felt. I can’t explain the precise emotion, but it was obvious that the place belongs to someone who has achieved a great deal in his life. Suddenly, I could see a gentle glow from the corner of my right eyes and when I turned my face to look, I noticed the sudden light source was an orb on a desk and it was the most beautiful thing I have ever seen. 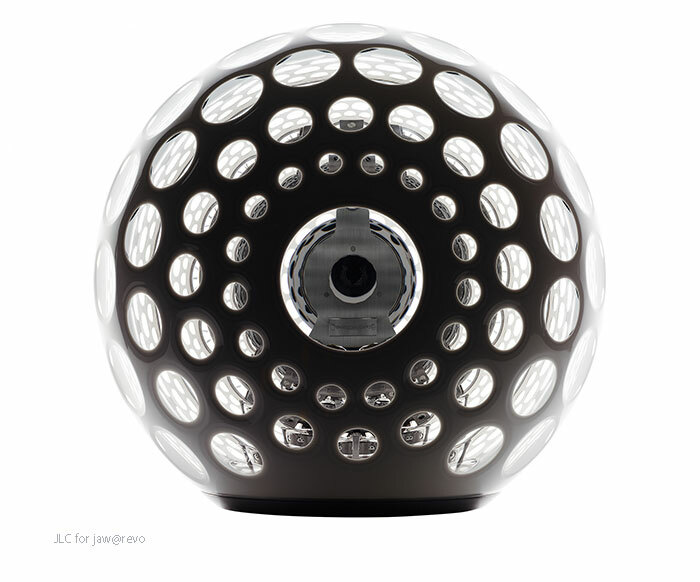 The orb looked like a giant golf ball with a flat base to rest on and a transparent clock face, within the globe was unmistakably an ATMOS mechanism. If I am not particularly excited by clocks, the uniqueness of ATMOS clocks clearly fascinates me. 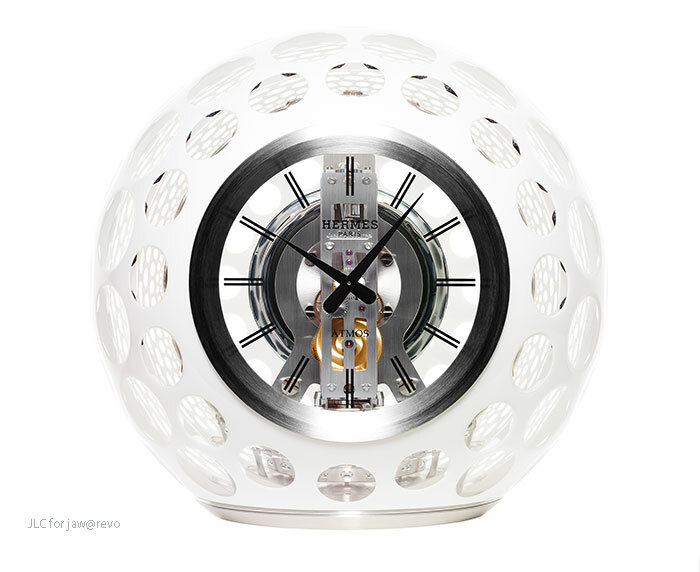 The ATMOS Hermes clock, media image. Theoretical Physics tell us the impossibility of creating a perpetual machine. Yet with ATMOS’ extremely low energy consumption and its ability to run forever without the appearance of an external energy supply, an ATMOS clock is perhaps, the closest man can hope in the making of a perpetual machine. Though the ATMOS runs without battery electricity and manual winding, it kind of cheated by requiring the smallest possible supply of external energy provided by the subtle change of room temperature. 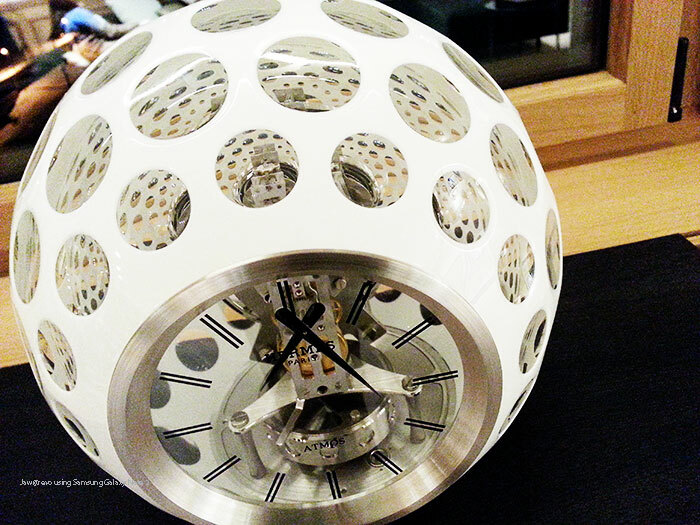 The ATMOS Hermes clock, side view, media image. “In an ATMOS clock, a hermetically sealed capsule containing a mixture of gases with high thermal expansion coefficient expands and contracts as the temperature changes. Connected to the mainspring of the clock, the capsule acts like a pair of bellows, thereby constantly winding the clock mechanism.” said a voice seemingly coming from a portrait on the wall. The clock mechanism is so energy efficient that one degree of temperature change is enough to power the clock for 48 hours”. For example, the energy required to power an average wristwatch is 250 times more than an ATMOS. 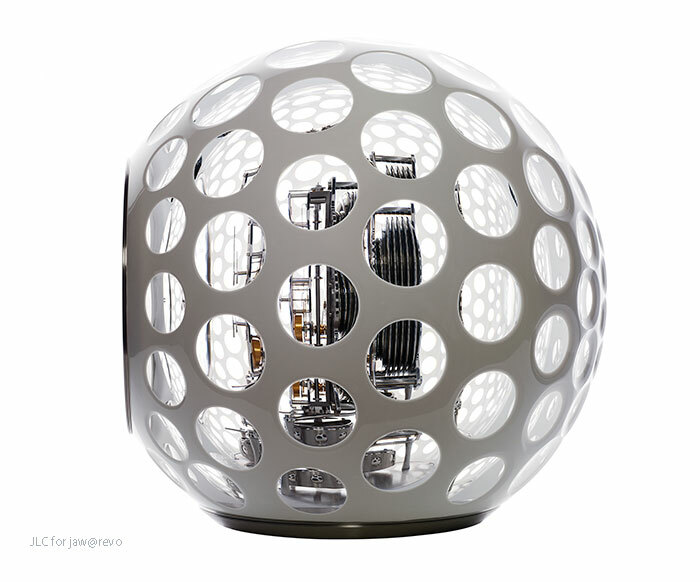 The ATMOS Hermes clock, rear view, media image. 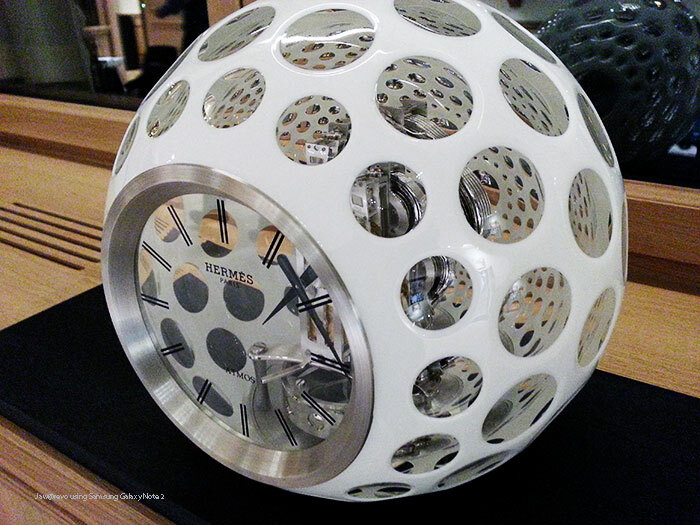 While the clock is manufactured by Jaeger-LeCoultre, the astonishing crystal exterior of this clock is made by Les Cristalleries de Saint-Louis glassmaker – a crystal orb made using the double overlay technique, basically coating layers of glass over each other, including a coloured layer. 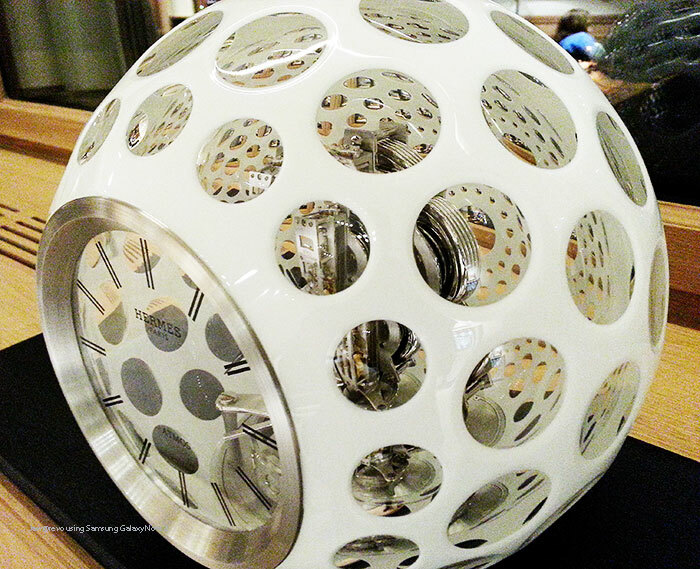 Instinctively, I reached for my mobile phone from my pocket and started to shoot several photographs of the clock. Suddenly I heard footsteps and as I turned my face towards the portrait on the wall, I noticed the caption within the photo frame and it says, “Antoine LeCoultre, the founder of Manufacture Jaeger-LeCoultre!” And then I woke up in my bed, with my hand still holding my mobile phone. Ng Tjeng Jaw, Grade 4 class J.